Garrett and Carson deal their thoughts on White Boy Rick. White Boy Rick is billed as the true story of a 14-year-old boy from Detroit who is a hustler, informant, kingpin, and legend. The trailer leaves the impression that the film will be an off-kilter romp through the crack cocaine-fueled 80’s. In reality, though, White Boy Rick seems to directly inherit all of the attributes of the titular main character: monotonous, slow, and seemingly oblivious to anything fun or exciting. Rick’s journey, while superficially interesting, is plagued by uneven storytelling and worse editing. Within the first 15 minutes of meeting him, we’re shown that his family is a mess, he sells guns with (and separate from?) his Dad, his Dad is squeezed by cops, and he is recruited by the cops to start selling drugs. It is a breakneck pace that seems designed to skip the setup in order to show Rick’s rise through the crime ranks with the assistance of the Detroit police and FBI. Unfortunately, his rise isn’t presented as overly fun or interesting. This may be partly due to the fact that Rick is portrayed as borderline emotionless and if it doesn’t seem fun to Rick on the screen, it’s not going to feel very fun for the audience. The momentum of Rick’s ascent is halted abruptly midway through the film via a series of events that unfold in rapid succession. The lack of a cohesive narrative during this portion of the film requires the audience to play a game of “connect the dots” using bits of dialogue, TV news stories, and inferences from context clues in order to understand why things are happening and the characters’ motivations behind them. Though these details may not be ultimately critical to the outcome of the story, it comes at a pivotal juncture in the movie plot-wise and contributes to the uneven feeling. The one constant in White Boy Rick is the acting. McConaughey’s down-on-his-luck, blue-collar, this-close-to-making-it-outta-here father character steals the show from the beginning and continues to do so in every subsequent scene he appears in. It’s a shame this isn’t a better film because McConaughey’s performance is very close to Best Supporting Actor territory. Bel Powley totally inhabits her role as Rick’s crack-addict sister. Along with McConaughey, Powley turns in the most powerful scene in the film. Newcomer Richie Merritt is consistent as Rick — if you consider a flatline reading on an electrocardiogram monitor consistent. 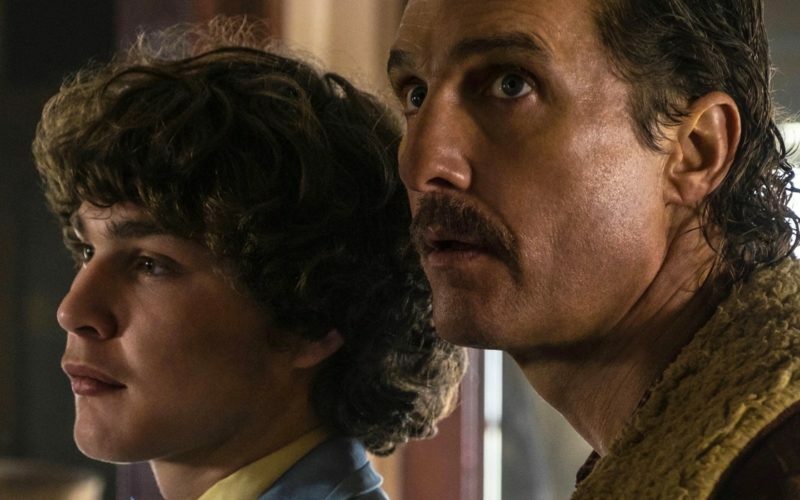 Merritt’s one-dimensional take on Rick leaves you wondering if the real “white boy” Rick was a tad slow or if this was just stiff acting. Beyond its chaotic pacing and plot issues, White Boy Rick’s greatest crime is that it feels detached. There’s never anything to emotionally latch on to. It always feels like you’re experiencing this movie at arm’s length. Never being allowed to get close to or care about any character. So when the time comes to wrap up RIck’s story and present the film’s message (which is quite murky… Cops are dirty? The war on drugs was a failure? Mandatory sentences are bad? ), there’s no resonance… just apathy. White Boy Rick is undoubtedly an interesting story — just one that is told in the blandest way possible. The most appealing thing about White Boy Rick is that it is based on a true story. That and McConaughey’s mullet and mustache, which he should keep for every movie he ever makes going forward. I am sure his performance in this movie is praise-worthy, but I don’t think my eyes ever left his mullet. Either way, he is definitely the highlight of White Boy Rick. When dealing with a true story, you are given a set of actual events and expected not to deviate much. Telling an engaging story using those events is what makes a good director. Director Yann Demange isn’t quite there yet. There is a lot going on in White Boy Rick, however, I couldn’t help but feel a bit bored. The characters are interesting and the story is one worth telling. It is the execution that is lacking. 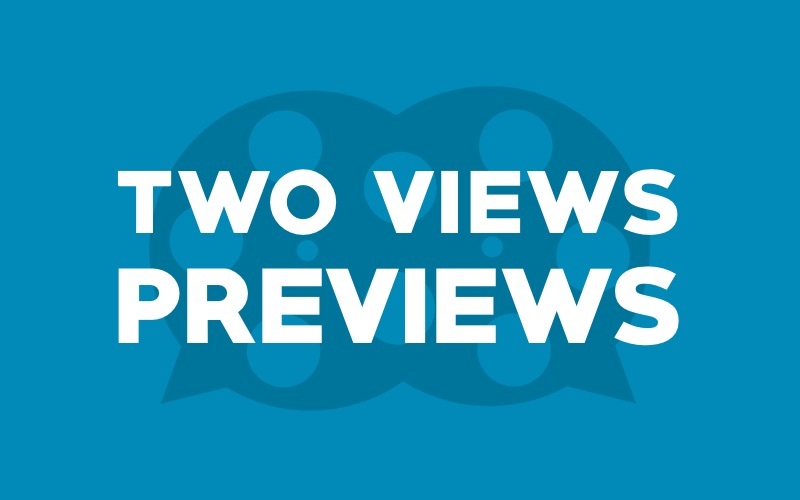 Garrett and Carson learn how to review a romcom in 20 minutes.